Clearly the Volvo Group has an interest in such an inductive charging technology, given that they run an ever growing fleet of electric and hybrid buses as well as trucks and their deals usually include the provision of charging infrastructure. Also for Momentum Dynamics this step comes at a right time. The company presented a 200 kW charging system for buses in the US last year and said back then, they were looking to expand to Europe (we reported). 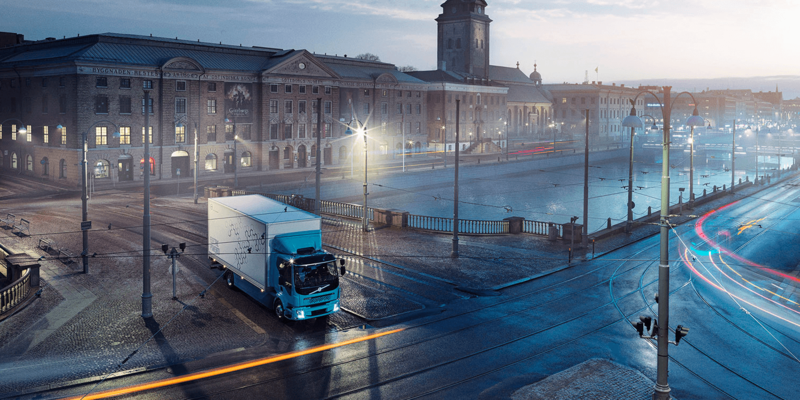 Whilst details of the agreement with Volvo have yet to solidify, the press release states Momentum Dynamics is conducting pilots in Europe and North America with both fleets and vehicle manufacturers of cars, buses, trucks and trains. Whether Volvo is directly involved in said trials was not specified in the statement but Stefan Söderling, Investment Director at Volvo Group Venture Capital said the deals means Volvo are “strengthening our competence and knowledge of charging and electricity distribution within the ecosystem around electric transportation and energy supply”. Moreover, Momentum Dynamics apparently has now opened the order books for the second generation of their system that is capable to deliver 300 kW. In reply to our request for comment, Söderling specified the technology as “designed to offer 75 kW per module” so that four models generate said 300 kW. He added though that “we can at this stage not comment if it (inductive charging) may be used in future products or applications” by the Volvo Group. The last real-life trial saw Momentum Dynamics wirelessly charge an electric bus of BYD in Washington State. We will keep our ears pricked of course.